With the approach of summer in 1192, Saladin began to reassemble his armies, girding Islam for a renewed Christian offensive. Over the preceding year the sultan had faced a series of ruinous setbacks. He had watched in impotent humiliation as Acre fell on 12 July 1191, and then suffered the shock of King Richard’s cold-blooded execution of the city’s Muslim garrison on 20 August. All efforts to halt the Lionheart’s march south to Jaffa had failed and, on 7 September at Arsuf, Saladin’s armies had been driven from the field of battle. Forced to reconsider his strategy, the sultan moved on to the defensive, demolishing the fortresses of southern Palestine, shadowing the crusaders’ grinding inland advance, yet ultimately retreating within the confines of Jerusalem itself around 12 December, there to await attack. Since the glory of his victories at Hattin and the Holy City in 1187, Saladin had remained resolute in his commitment to jihad – if anything, his dedication had deepened. But even so, he had gradually lost the initiative to the Franks. Debilitated by recurrent illness, hamstrung by the faltering morale and physical exhaustion of his troops, and distracted by the wider demands of his Ayyubid Empire, the sultan had been slowly driven to the edge of defeat. 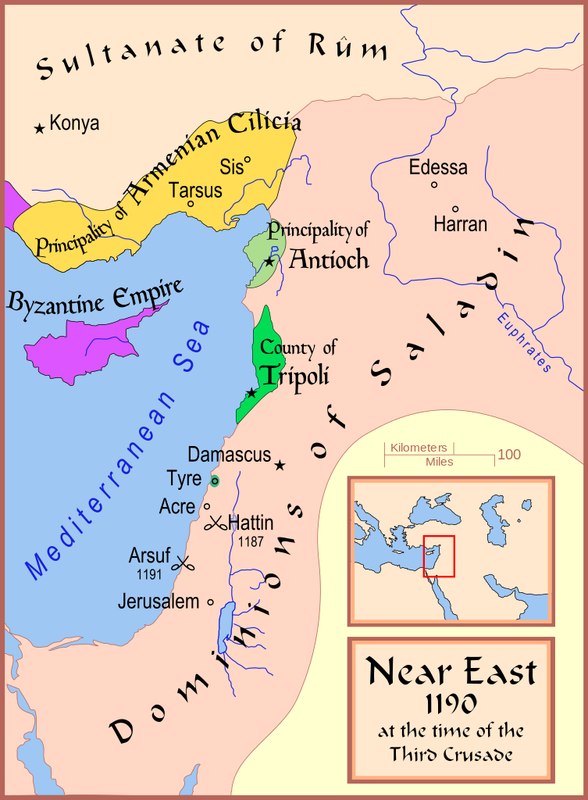 Then, on 12 January 1192, the crusaders retreated from Beit Nuba, offering Islam a new lease of hope and gifting Saladin the chance to regroup and recover. Having survived the Christian advance on Jerusalem, Saladin took stock of his position in the first months of 1192. The Ayyubid realm was in a worrying state of disrepair. After years of neglecting the management of his treasury, the sultan’s financial resources were profoundly overstretched, and without a ready supply of money he was struggling to pay for the manpower and materials necessary for war. Egypt’s continued prosperity offered a lifeline, but Richard’s reoccupation of Ascalon posed a considerable threat to communications between Syria and the Nile region. These economic woes were linked to a second concern: the dwindling availability and waning loyalty of his armies. Through the near-constant campaigning of the preceding four years, Saladin had made enormous demands of the troops drawn from his own domains in Egypt, Syria and the Jazira. Likewise, he had asked much of his allies in Mesopotamia and Diyar Bakr. It was a testament to Saladin’s remarkable charisma as a leader, to the effectiveness of the political and religious propaganda he disseminated, and to the devotional appeal of jihad that even potential rivals such as the Zangid Izz al-Din of Mosul and Imad al-Din Zangi of Sinjar had continued to honour their commitments to the holy war by answering the Ayyubid sultan’s calls to arms. But these demands could not be met indefinitely. If the conflict in Palestine continued unabated, it would be only a matter of time before the bonds of loyalty and common purpose uniting the Muslim world began to fracture. This was why Saladin took the risk of disbanding his army in December 1192. To the sultan’s dismay, these manifold problems were compounded by the first flickerings of disloyalty within his own family. Back in March 1191, Saladin had allowed his trusted and able nephew Taqi al-Din to take possession of a parcel of territory in the Jazira, east of the Euphrates, which included the cities of Edessa and Harran. In November of that same year, in the midst of the Latins’ advance on the Holy City, the sultan was deeply saddened by news of Taqi al-Din’s death from illness. By early 1192, however, Taqi al-Din’s adult son al-Mansur Muhammad began to show what one of Saladin’s aides described as ‘signs of rebellion’. Fearing that he might be deprived of an inheritance, al-Mansur sought to cajole his great-uncle, the sultan, into either confirming his rights to the Jaziran lands or granting other territory in Syria. The approach was evidently underlined with the implied threat that, if thwarted, al-Mansur would incite anti-Ayyubid insurrection in the north-east. In early 1192 Saladin faced financial insecurity, troop shortages and sedition. Not surprisingly, he further refined his approach to the holy war. During the preceding autumn he had adopted a more defensive strategy, avoiding decisive confrontations with the Franks but still maintaining relatively close contact with his enemy. From spring 1192 onwards, the sultan withdrew almost all of his soldiers from the field. Barring occasional skirmishing forays and opportunistic raids, the Ayyubid armies held fast in defensible positions across the length of Palestine, waiting to repel any Christian attack. In a related development, Saladin instituted a widespread work programme to strengthen his major fortresses and Jerusalem’s battlements. These preparations were reflective of a fundamental change of policy. In 1192 Saladin evidently concluded that he could no longer realistically expect to achieve outright victory against the Third Crusade. This realisation prompted him to re-engage with the diplomatic process – establishing dialogue with Richard I and Conrad of Montferrat. It also forced the sultan to re-evaluate his bargaining position. A deal based on a partition of the Holy Land, in which the Latins would retain control of a coastal strip of territory, was now deemed acceptable. As yet, however, Saladin retained two firm demands: Islam must retain dominion of Jerusalem; and Ascalon, the gateway to Egypt, must be abandoned. 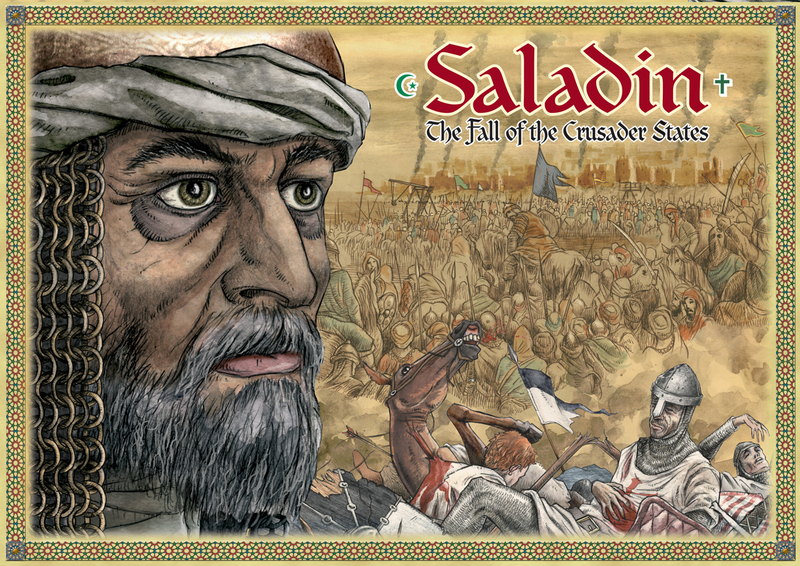 Saladin’s overarching strategy of defence and diplomacy was now underpinned by a singular objective – to survive the Third Crusade. He knew that the Latin Christians who had come east in their thousands to wage a war of reconquest would one day return home. King Richard, in particular, could not afford to remain in the Levant indefinitely. Saladin’s goal was to withstand the storm: limiting his losses wherever possible; avoiding decisive confrontation at all costs; but bringing the Palestinian war to a swift conclusion, before the Ayyubid war machine collapsed. Then, once the crusaders had sailed from the eastern shores, the sultan could turn his mind to thoughts of recovery and reconquest.